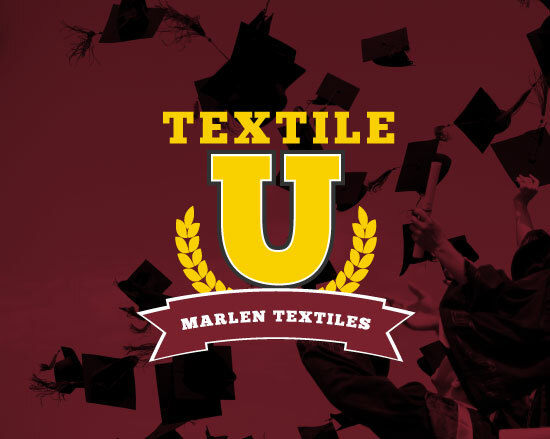 Marlen Textiles is pleased to bring you another quick “course” from Textile U. In the outdoor and industrial textiles business, it’s important to know industry terms. After all, just because you know what means what, doesn’t mean that customers know what the definition of is, is. In this edition of Textile U, you’ll learn the difference between denier and ply, Water resistance and Water repellent? Tongue Tear and Trapezoidal Tear? In our industry Water Repellent and Water Resistance are used interchangeably. However, the differences between the two terms can often spell the difference between a satisfied customer and an unhappy one. Denier is a unit of weight by which the fineness of the yarn is measured. It is equal to the weight in grams of 9,000 meters of yarn. Higher deniers are heavier yarns. 1 denier = 1 gram per 9,000 meters = 0.05 grams per 450 meters. A fiber is generally considered a microfiber if it is 1 denier or less. A 600 denier filament is twice the weight of a 300 denier filament. A 1-denier polyester fiber has a diameter of about 10 micrometers. The number of individual strands spun together to make the final yarn. The yarns are joined together by twisting the strands. A 2-ply means two yarns have been twisted together, a 3-ply means three yarns, and so on. Yarns are classified as either Filament or Staple (Spun). The process to impart softer hand, greater breathability and other qualities to filament yarns. Most Staple (Spun) yarns do not need to be texturized. Described as the weight, in ounces, of one square yard of the fabric. Crazing appears as thin, white lines on fabric. It is commonly the result of folding or creasing. Exposure to heat or sun will accelerate the disappearance of these lines. The tactile qualities of a fabric. Hard to quantify, as everyone’s “feel” is different. These elements include sunlight, humidity, atmospheric gases, washing, etc. Coated fabrics typically have less color fastness than solution dyed fabrics. Due to the chemical makeup, red dyes are the least color fast. These terms are used interchangeably and mean the same thing. It is transfer of the colorant from the fabric to another surface. Seen mostly when fabrics come into contact with vinyls. Non woven fabrics are neither woven nor knitted. 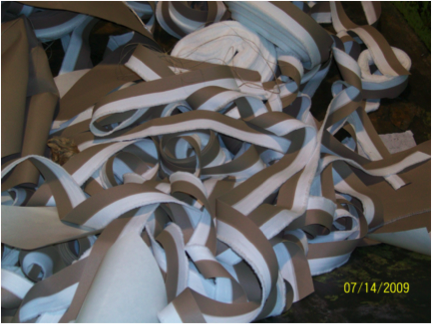 Non woven’s are made a variety of ways. Woven fabrics interlace two sets of yarns at right angles to each other. The set of yarns that run the length of the fabric (and parallel to the selvedge) is the Warp. The set of yarns that run across the fabric is the Weft. Also known as Fill. A single yarn in this direction is called a Pick. Loom is the name of the machine that weaves the yarns into fabric. The narrow edge of woven fabric that runs parallel to the warp. It is typically made with stronger yarns in a tighter construction than the body of the fabric to prevent unraveling. Water Proof: The ability for NO water to permeate thru the fabric. Water Resistant: The ability for very little water, at a high pressure, to permeate thru the fabric. The more water resistant a fabric is, the less water permeates thru it. Water Repellent: The ability of the fabric to bead moisture away and not have it soak into or thru the fabric. The less Water Repellent a fabric is, the more it will “wet out” and lead to leaking. Virtually no fabric is 100% water proof, especially after any amount of weathering. Most people ask for Water Proof fabrics, and very few exist, as given enough water pressure most fabrics will leak. Water Proof and Water Resistant are commonly used interchangeably. To be Water Proof, the pores must be closed on the fabric. The more Water Resistant a fabric is, the less breathable it is. Water Proof fabrics do not breath at all. Water Resistance of all fabrics goes down with aging. Water Repellency of all fabrics goes down with aging. Specific amount of water is poured over a fabric at a 45 degree angle. 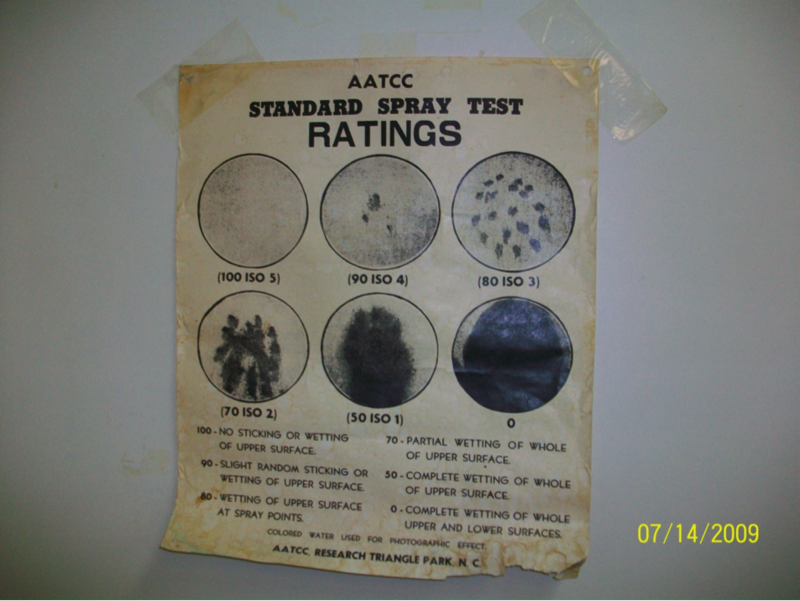 A visual inspection is made and a comparison is then made to a chart, which equates to a number rating. 100 is the best. The higher the number the more the fabric will repel water. This test equates to the fabrics water repellent performance in the rain. 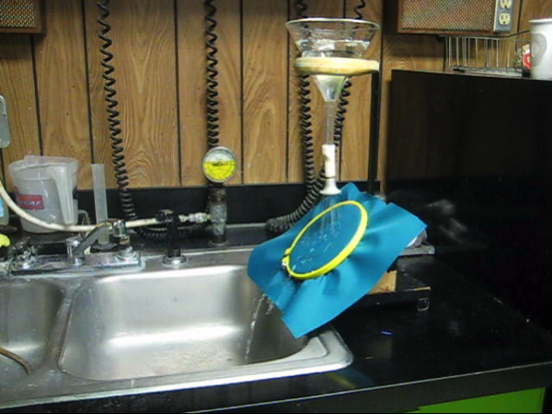 A water column is raised to determine the height at which drops of water permeate the fabric. 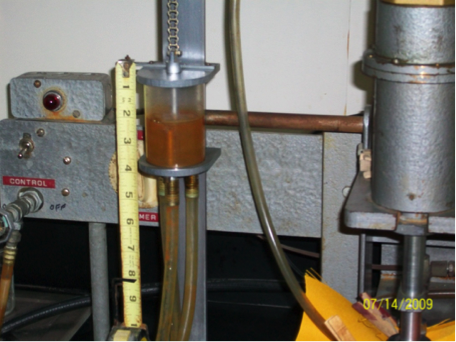 The higher the water column, the more pressure is applied. It is measured at 1 drop & 3 drops. The higher the number, the more water resistant the fabric is. This is equivalent to water “resting” on a fabric and the results equates to how resistant the fabric will be to letting the water permeate. A water column is raised to 8” and left for 10 minutes. The number of drops is then counted. The lower the number, the better the water resistance of the fabric. This shows how the fabric would respond to water “pooling” or “puddling” on a fabric. This shows the amount of water vapor that will permeate thru the fabric. This equates to whether moisture will be “trapped” under a cover or top. The higher the breathability number, the more water vapor escapes, meaning the more permeable (or porous) the fabric is. A higher breathability number will result in lower 8”, Tap & 1 drop/3 drop test, but not necessarily Spray Rating. Left for 24 hours in a controlled environment, at a specific temperature and humidity. Abrasion is the wearing away of any part of the material by rubbing against another surface. 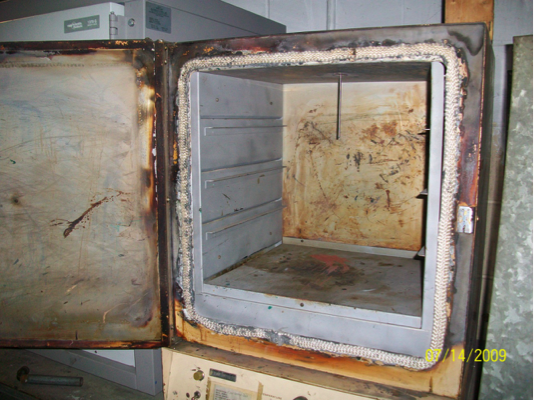 Coated fabrics will usually have a higher abrasion resistance. This is due to the fact you have to wear thru the coating before you get to the underlying fabric. A few different abrasion tests exits. Two common ones are Taber Abrasion and Double Rub (Wyzenbeek). Wyzenbeek rubs fabric against another piece of fabric. Wyzenbeek is commonly used for upholstery fabric and simulates clothing rubbing against upholstery. 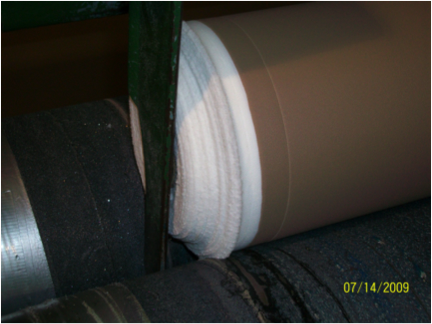 Taber Abrasion rubs fabric against a pumice disk. This is a much harsher test. 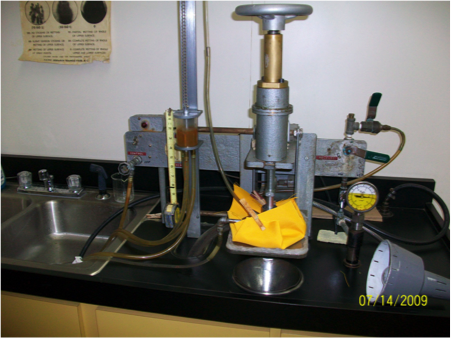 Typically a fabric that abrades at 500 cycles on the Taber test will abrade at 50,000 cycles on the Wyzenbeek. This shows how the fabric will react when it rubs against something else. ie. Travel covers, awnings, Bimini top, etc. This is how much the fabric stretches and shrinks. Some applications call for high dimensional stability and others call for low dimensional stability. For an awnings or tops, low dimensional stability would allow the fabric to sag & collect water. Anywhere you want to be able to stretch a fabric to fit unique curves would need a less dimensionally stable fabric. Some fabrics (i.e. Acrylic) will actually grow when wet, as the yarns elongate. Predetermined distance is marked in fabric and then it is put in machine. 25 pounds of pulling force is applied to the fabric for 5 minutes. Growth of fabric in inches is recorded, result is given in % of growth over original distance. Fabric is cut to a specific length and width. It is put in a 230-260 degree oven for 8 hours. Measurement is taken and difference, in %, is recorded. Tensile/Burst: Force required to break a fabric or burst a fabric. Elongation: Measurement of how much the fabric will stretch before it breaks. Tear: Force required to continue a tear or rip previously started in a fabric. 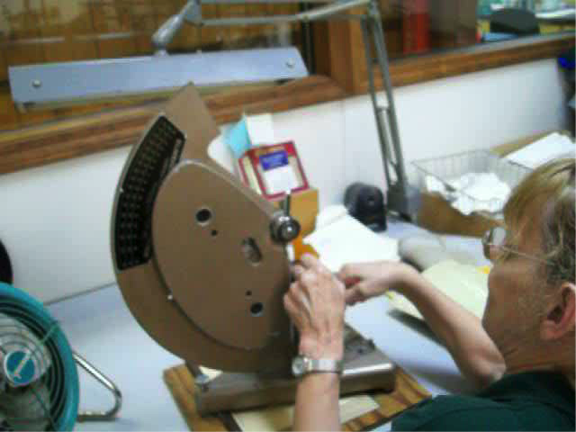 Fabric is put in machine and distance between jaws is measured. Force is applied until fabric ruptures. 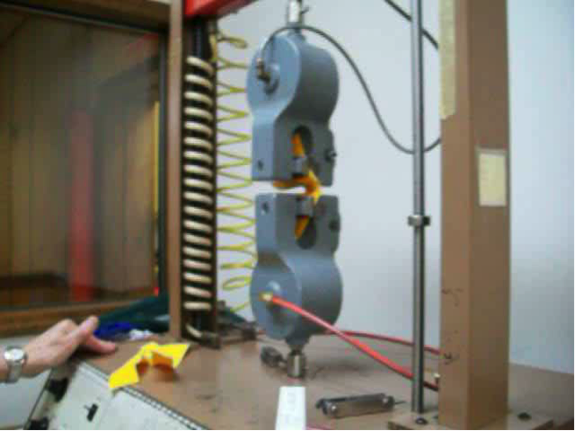 Amount of force is recorded as tensile strength (in pound per inch). Test is done in both the Warp and Fill direction. Distance fabric moved until it broke is measured and then expressed as a % over original size and recorded as elongation. Cut/Tear is made in fabric. 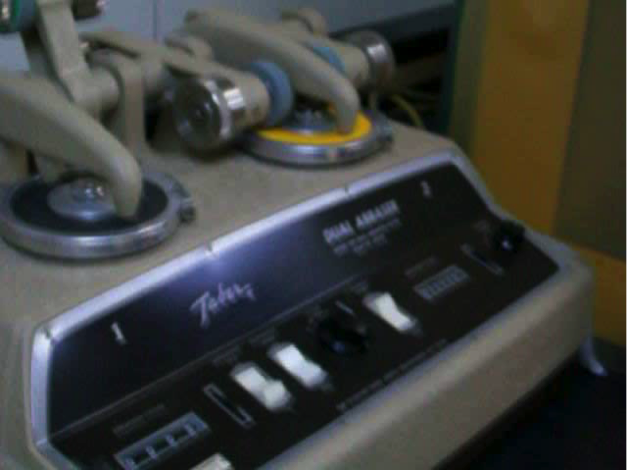 Measurement using Elmendorf machine is made to see how much force is needed to continue the tear. Tests are performed in both the Warp and Fill direction. This equates to a fabric that has a hole, cut or tear in the fabric and how much force it can withstand before the tear grows. Fabric is placed in machine. Force is exerted until the fabric tears more. This force is recorded and expressed in pounds per inch. Tests are performed in both the Warp & Fill direction. Fabric is placed in machine at 90 degrees to the cut/tear.